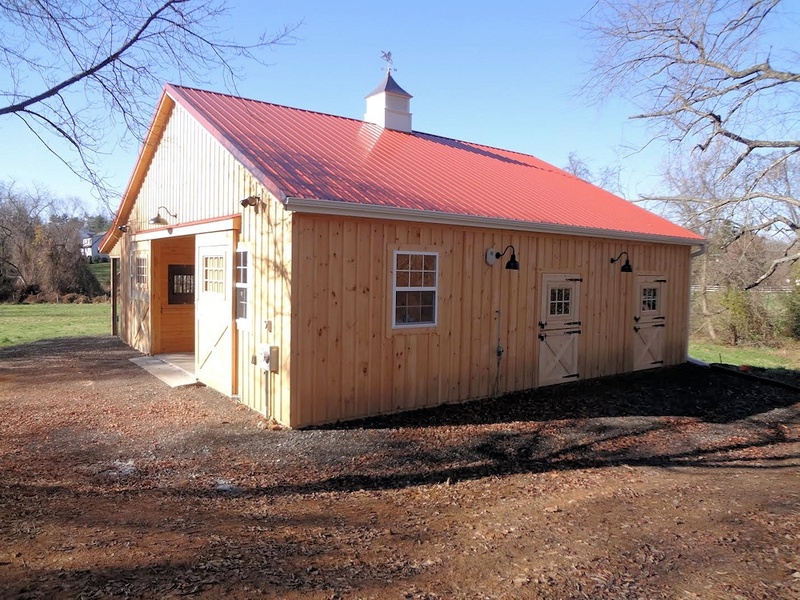 DESCRIPTION: This plan is for 36'x36' Horse Stable with 10' high walls, 6' wide lean-to overhang, Pine board & batten siding and metal roof. This barn has (4) 12'x12' stalls, (1) 12'x12' tack room, (1) 12'x12' wash stall and 12' wide center aisle. 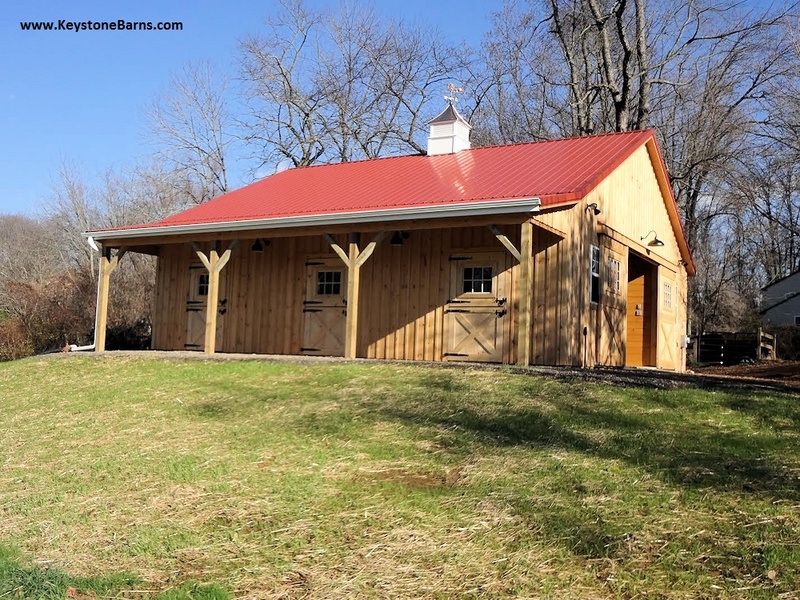 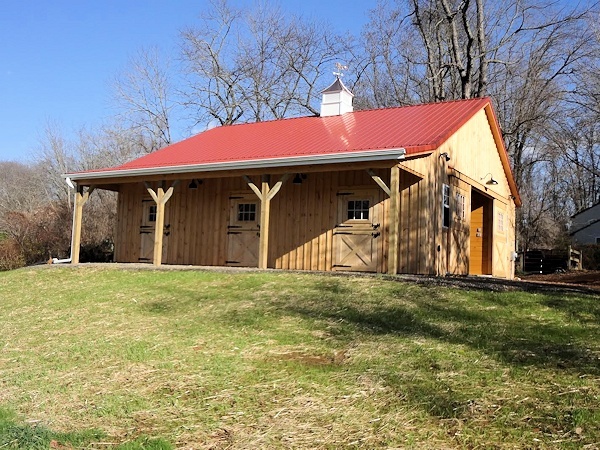 Built using post-frame construction technique as a pole barn.